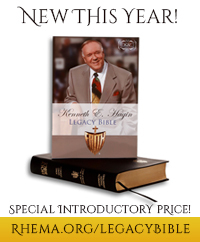 Ever wondered what it's like to be on the campus of Kenneth Hagin Ministries and Rhema Bible Training College? Can't make it to Tulsa to check it out for yourself firsthand? Well, now you don't have to! 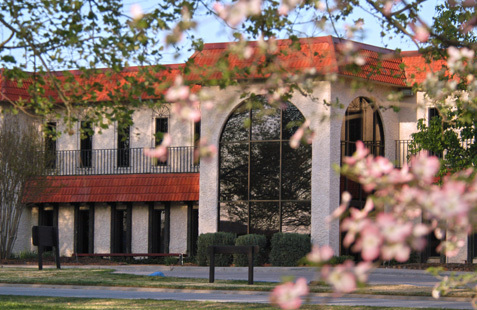 Administration Building—This building is home to several ministry departments including Communications, Partner Services, Faith Library Publications, Data Processing, and Rhema Correspondence Bible School. 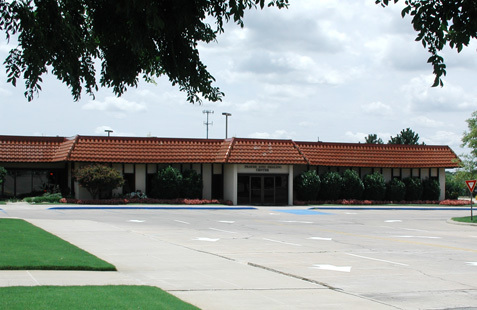 Kenneth E. Hagin's office is also in this building and hasn't changed since he went home to be with the Lord in September 2003. 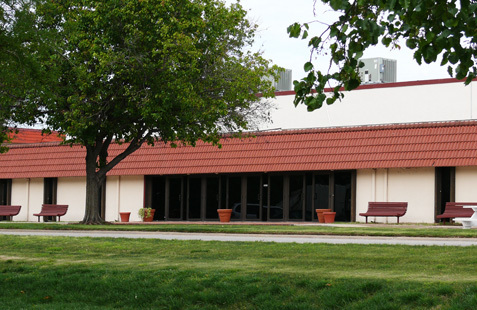 Rooker Memorial Auditorium (RMA)—Named after Kenneth W. Hagin's maternal grandparents, this building is large enough to accommodate the entire Rhema Bible Training College student body. Student Development Center 1 (SDC 1)—The afternoon sessions of Prayer and Healing School, as well as many RBTC classes, are held in this building during the school year. SDC 1 is also home to the Admissions and Recruiting departments and the office of RBTC's dean. Student Development Center 2 (SDC 2)—The bottom floor of this building houses classrooms for RBTC students and offices for the Alumni Department. 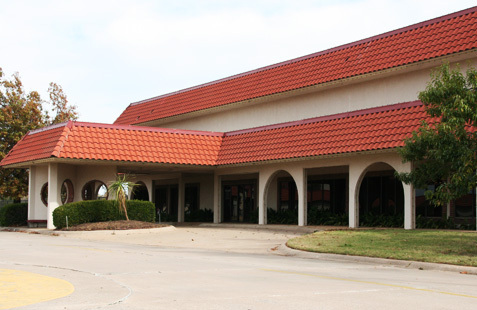 The second floor is home to the Rhema Bible Church Varsity Youth (8th–12th grade). 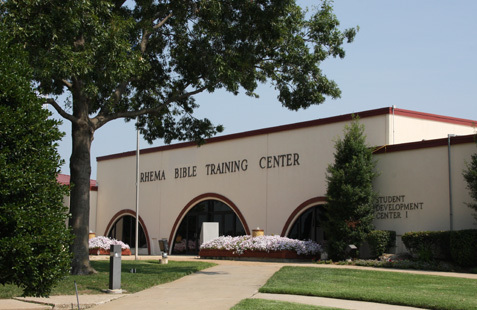 Rhema Bible Church (RBC)—This massive building (more than 233,000 square feet) is home to the Church Office, Student Ministries Department, RHEMA Child Development Center, Video Department, Book & Gift Store, and Music Department, along with the music studio and video production room. 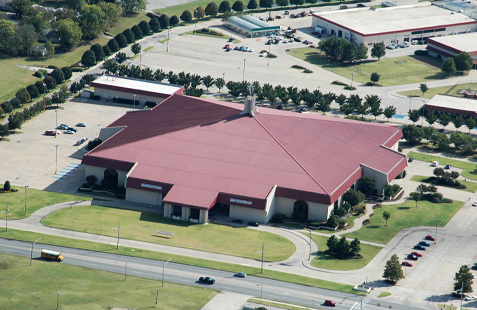 The Rhema Bible Church Auditorium seats 4,500 and is the hub for most Kenneth Hagin Ministries on-campus events. Prayer & Healing Center—This building houses staff offices for the Prayer & Healing Center and the auditorium where morning Healing School services are held. Trained prayer partners pray daily in this building over requests arriving by phone, email, and regular mail, and Rhema Bible Church prayer groups meet here weekly. JV Youth Building—Adjacent to the Prayer & Healing Center, this building was renovated in 2012 and is home to the Rhema Bible Church JV Youth (5th–7th Grades). 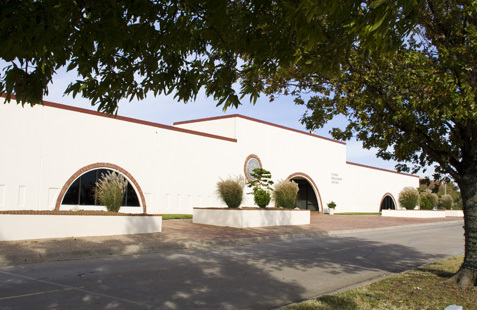 Rhema Library—This facility houses the school's book collection and provides laboratory space for Rhema Bible Training College's third- and fourth-year School of Worship, School of World Missions, and General Extended Studies. The building also serves as a meeting place for the Rhema Rangers (program for boys) and Rhema Regals (program for girls), and is home to the Rhema Security offices. Ninowski Recreation Center (NRC)—This building, remodeled in 2008, is home to Rhema Eagles intercollegiate athletics and intramural sports. It is also the setting for the RBTC Christmas banquet, alumni reunions, and many other social activities. 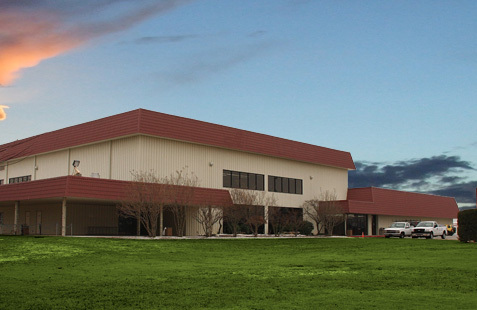 It houses a regulation-sized basketball court, a volleyball court, four racquetball courts, an indoor track, a weight room, two snack bars, a roller-skating rink, two locker rooms, and the Athletic Department staff offices. 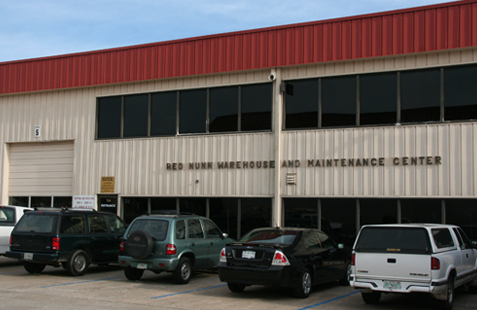 Red Nunn Warehouse and Maintenance Center—When you purchase a product from Kenneth Hagin Ministries, your order goes to our Distribution Center, located in this building Our publishing division, Faith Library Publications, prints about a million books a year and ships them all over the world. The media duplicating and campus maintenance departments are also based in this building. 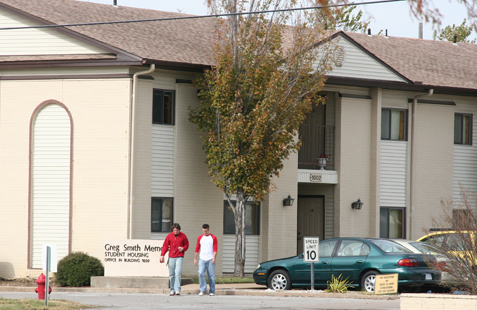 Greg Smith Memorial Student Housing—Most Rhema Bible Training College students live off campus, but the 96 one- and two-bedroom on-campus apartment units are "home away from home" for some. Many residents are international students. Life at Rhema is social as well as spiritual, and living in Student Housing provides many fellowship opportunities. Rhema Park—Located between the Ninowski Recreation Center and the Administration Building, the park offers a serene spot to relax, take a walk, or read a book. 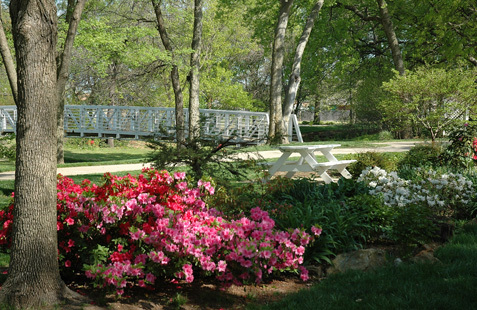 A walkway winds among the trees, and a gazebo and picnic tables provide places for leisurely lunches. During the Christmas season, the Rhema Park becomes the centerpiece of the Christmas Lights Display, which includes around two million lights. 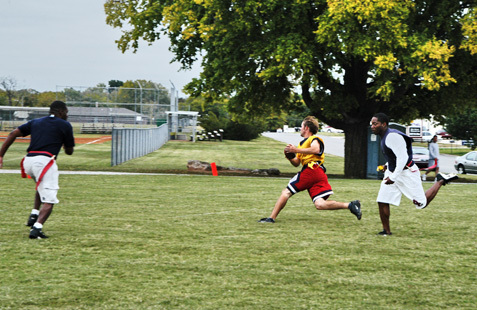 Rhema Football and Softball Fields—Located on the southeast side of campus, the football and softball fields are primarily used by Rhema Bible Training College students for intramural sports. RBTC students can choose from among seven sports: flag football, softball, basketball, soccer, volleyball, floor hockey, and bowling.